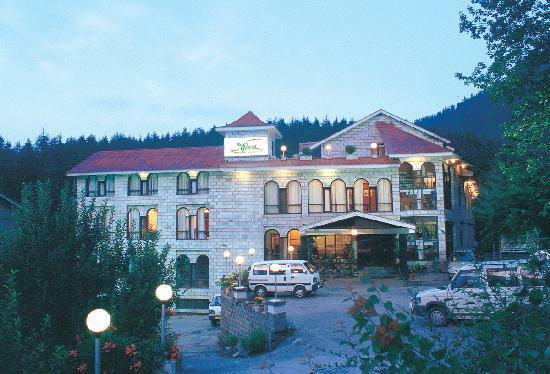 Just 2 km away from the main town, the Orchard Greens is one of the most prominent hotels in Manali. 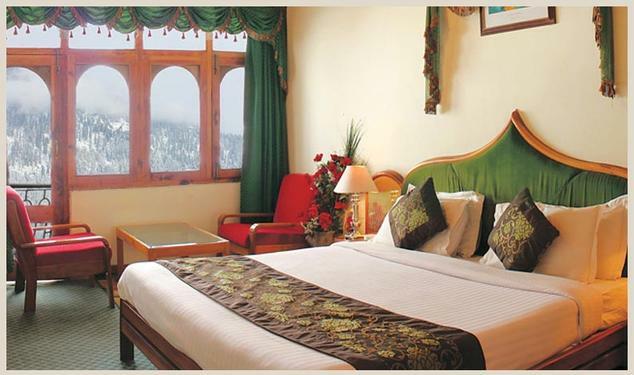 The hotel is celebrated for its excellent atmosphere and courteous hospitality since its establishment in 1991. 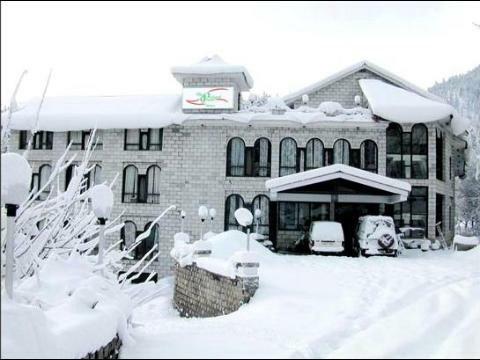 The hotel offers panoramic views of the magnificent hills covered with beautiful pine trees. Among the various services and facilities that are offered by the hotel include information center, in house laundry, power backup, travel desk, airport pickup and drop (surcharge), car parking facility, doctor on call, car rental services (surcharge) and 24 hour front desk. The hotel also provides special sessions with a traditional fortune teller, called Gur, for extra charges. The corporate guests can avail the hotel’s business and conference center that includes a conference hall and well equipped with audio visual equipments, internet (surcharge), Photostat and fax facilities. Buffet facilities can also be arranged as per the guests’ requirements. Other recreational facilities include bonfire, indoor games, folk artists, magic shows, table tennis, badminton court and pool table. Adventure activities such as camping, river rafting and trekking can be facilitated by the hotel on request. While staying here, guests can venture out and visit places like the Tibetan Monastery, Hidimba Devi Temple, Vashist Springs, Nehru Kund and Solang Valley. 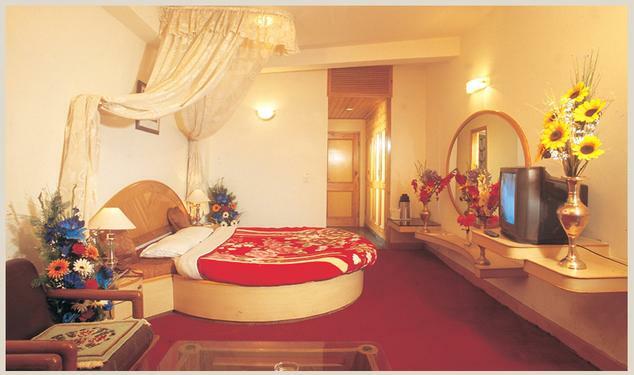 The honeymoon suite is lavish, elegant and furnished with comfortable upholstery and linen. 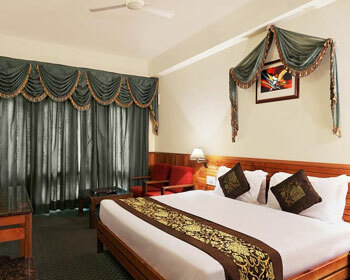 The interiors are individually designed and the fabrics are tastefully picked to adorn the suite. The soft tints on the walls and traditional works of art exude expressions of tenderness and warmth. The state-of-the-art amenities include satellite television, STD/ISD dial facility on phone, fax, mini bar (surcharge), fully equipped first aid box and round the clock room service. The private bath has elegant fittings and is appointed with a spacious bathtub, shower and premium bath accessories. 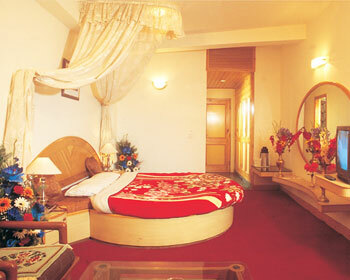 The suites have balcony that opens out to the lush greenery of the lawns. The hotel takes extra efforts to make your stay even more memorable with flower decorations on request. The family suites are spacious and comfortable with elegant furnishings. 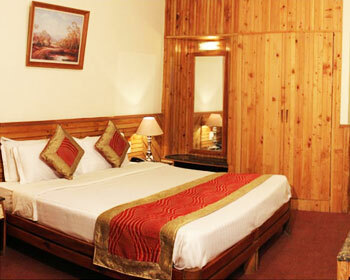 The wooden paneling, soft linens and soothing hues offer a warm and cozy haven to the guests. The modern amenities provided include television with satellite channels, telephone with intercom facility, mini bar (surcharge), fully equipped first aid box and 24 hour room service. The personal bathrooms include shower, bathtub and complimentary toiletries. Extra beds can be availed on request for a surcharge. These rooms are elegantly designed and individually furnished with wooden furnishings and graceful fabrics. The attached balcony provides a picturesque view of the surrounding hills and the hotel gardens. All the rooms offer amenities like satellite television, mini bar (surcharge), STD/ISD facility on telephone, first aid box and separate bathroom well appointed with shower, bathtub and complimentary bath essentials. Round the clock room service is provided. For a surcharge, extra beds are available on request. The deluxe rooms are beautifully decorated with modern furnishings and soft tints giving off an intimate and tranquil ambience. The facilities offered in these rooms include satellite television, telephone with STD/ISD direct dial facility, fully equipped first aid box, mini bar (surcharge), 24 hour room service and attached baths equipped with shower, bathtub and bath accessories. Extra beds can be availed on request for a surcharge. 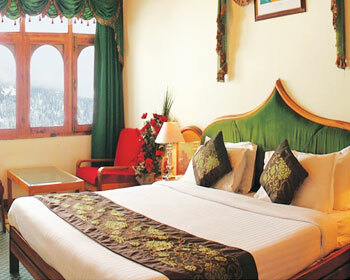 The rooms have attached balcony that offer a splendid view of the surroundings. The restaurant in The Orchard Greens is the right place for the foodies. One can enjoy delicious exotic food as well as traditional delicacies prepared with authentic recipes right here. The menu features cuisines ranging from Mughlai, Indian, Chinese and Continental. The kitchen staff is efficient and talented and you can enjoy some of the best creations while dining here. The hotel also offers an al fresco dining option with a huge garden that is spread across 5000 sq. ft area. The lush green lawns are beautifully maintained and planted with colorful flowers. It is a perfect place to enjoy your meals out in the midst of nature.